The first full-scale industrial prototype of a divertor inner vertical target has successfully passed through a rigorous campaign of thermal testing. 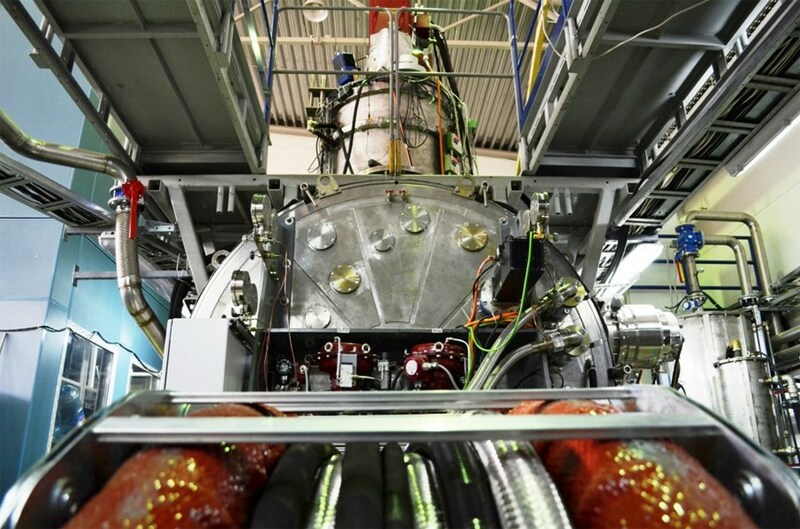 Plasma-facing unit (PFU) prototypes—delivered by Ansaldo Nucleare and ENEA as part of the European Domestic Agency's multiyear qualification program—have been mounted on a dedicated testing frame similar to the inner vertical target. 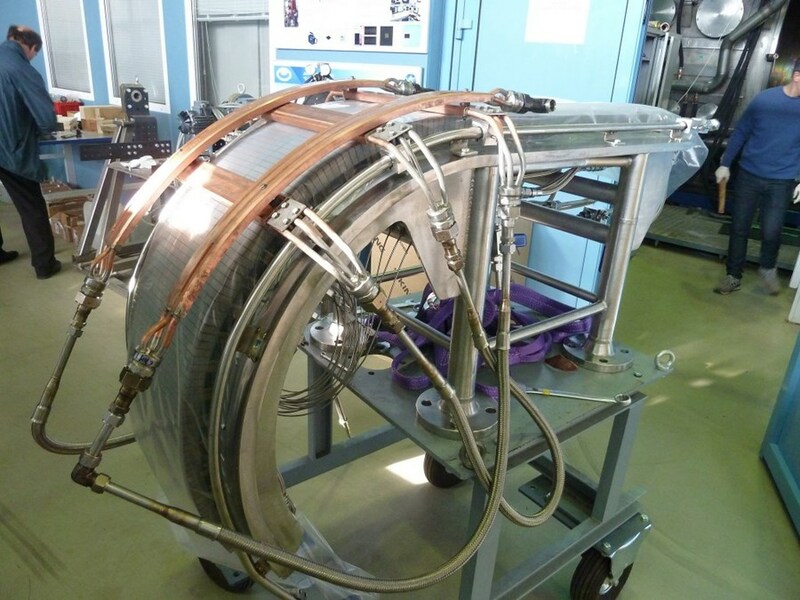 Testing took place at the ITER Divertor Test Facility at the Efremov Institute in Saint Petersburg. 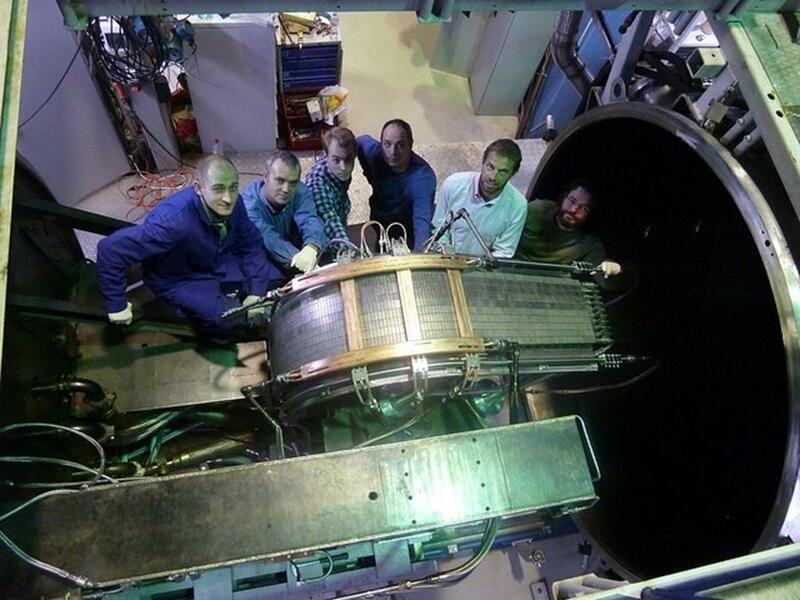 In the vacuum chamber of the Efremov Institute's Divertor Test Facility (Saint Petersburg), an 800 kW electron beam gun cycled about fifty thousand times over a 49-day period last year—jumping from one test surface to another in a succession of 10-second shots—to create a heat load that mimics conditions expected during ITER stationary operation. 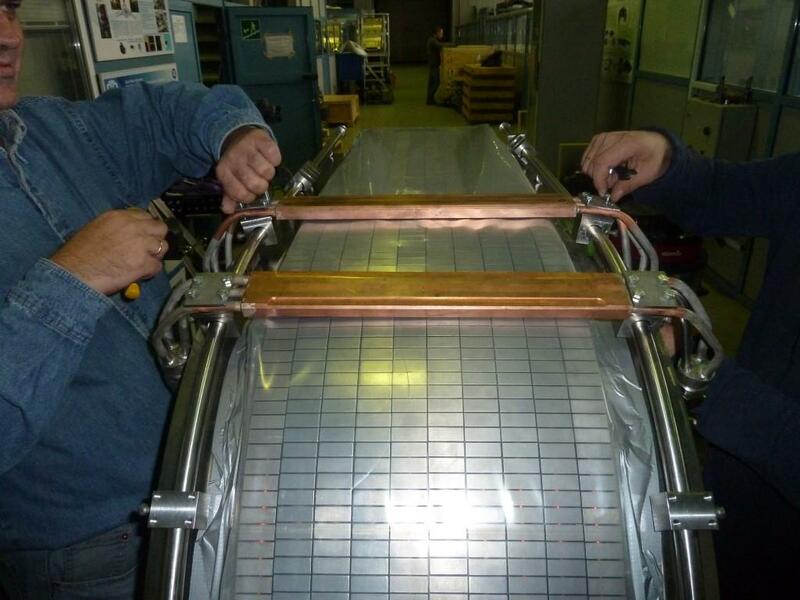 During the high heat flux tests, the electron beam sweeps quickly over a given testing zone, like in old cathodic TV tubes, to heat the zone with a uniform pattern; to optimize the process, the beam jumps between two zones, working them simultaneously. The ten-second duration was selected in relation to the thermal time response of the plasma-facing units (1 to 2 seconds). In other words, after 10 seconds of beam exposure the surface temperature reaches steady-state temperature, defined as the equilibrium temperature at which the surfaces would remain if the exposure time were infinite. The first full-scale prototype of the European inner vertical target qualification program had been delivered to the Russian Domestic Agency by the European Domestic Agency (from Italian firms Ansaldo Nucleare, Genoa, and ENEA, Frascati) for testing last autumn. Mounted on a curved steel support structure specifically designed for these tests, eight plasma-facing units armoured with 1,104 tungsten monoblocks were subjected to exhaustive performance tests aimed at the qualification of tungsten bonding technology. Two distinct surfaces had been marked out for the test campaign—a curved plasma-facing unit zone, also called a baffle (tested at 5 MW/m² for 5,000 cycles) and their straighter segments, called the targets (tested at 10 MW/m² for 5,000 cycles and 20 MW/m² for 300 cycles respectively). The 800 kW electron beam gun of the Divertor Test Facility exposes plasma-facing components to the same order of heat loads—up to 20 MW/m² —that they will face inside the ITER vacuum vessel. Nine rounds of visits were organized over the 49 days of the recent test campaign for representatives of the ITER Organization, the European Domestic Agency, and European suppliers. 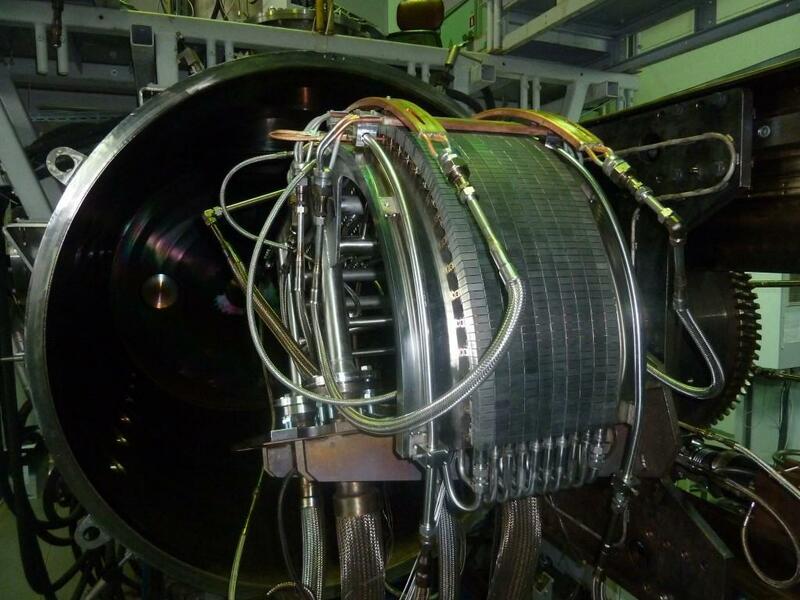 High heat flux tests like these are critical to ensuring that ITER's most exposed components—the inner vertical target, outer vertical target and dome of the ITER divertor—can withstand the demanding thermal conditions of the ITER machine, estimated at 10-20 MW/m². "To help people understand the intensity that this represents, there are two comparisons I like to use," says divertor engineer Andrey Fedosov. "On a summer day at the beach, the heat density reaching your skin is estimated at approximately 0.001 MW/m²—that's at least 10,000 times less. Or consider that 20 MW/m² is at least two times higher than the load sustained by a space shuttle re-entering Earth's atmosphere, and the aim is to sustain it in ITER during long minutes." During a pre-qualification phase in Europe for the inner vertical target, multiple suppliers had fabricated and tested small-scale (~1/20th) mockups composed of tungsten monoblocks bonded to a copper alloy cooling tube. 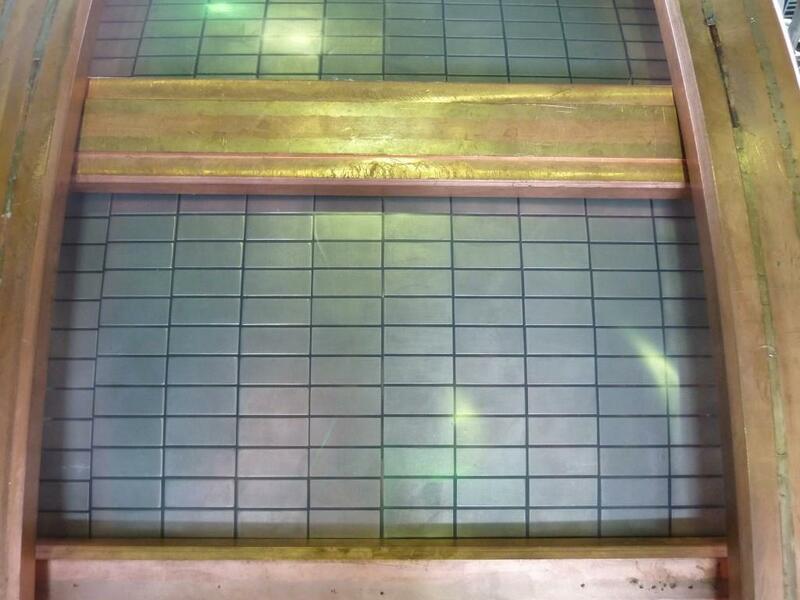 Now as a follow-up step, pre-qualified manufacturers are producing full-scale prototypes. Preliminary analysis of the test results on the first prototype shows that the thermal performance of the plasma-facing units met expectations in the sense that no bonding imperfections above the acceptable threshold were observed during the long cycling experiment. "This is a major step toward the completion of the divertor inner target qualification phase that leads to series manufacturing," says Fedosov. "All tests were completed ahead of schedule thanks to a very strong collaboration between the ITER Organization, the Russian team working at the test facility, Russian and European Domestic Agencies, and European suppliers." Also refer to this story on the European Domestic Agency website. Ready to be installed in the vacuum chamber: the plasma-facing components mounted on a curved steel support. On the underside are the pipes dedicated to active cooling. During the high heat flux tests, the electron beam moves quickly over a given testing zone to heat the zone with a specified uniformity. To optimize the process, the beam jumps between two zones, working them simultaneously. The plasma-facing surface of the inner vertical target is armoured with 1,104 tungsten monoblocks. Tungsten has the highest melting point of any of the metal elements—3,422 °C. Some of the Efremov Institute team members are pictured with representatives of the European Domestic Agency and supplier Ansaldo Nucleare in front of the first full-scale ITER inner-vertical target prototype manufactured in Europe as part of a multiyear qualification campaign.